Sheehey Furlong & Behm P.C. is pleased to announce that The Best Lawyers in America named five Sheehey attorneys to its 2019 Best Lawyers in America list. Diane M. McCarthy has been recognized by Best Lawyers® for her work in Banking and Finance Law, Corporate Law, and Real Estate Law. Diane has been with the firm since 1997 and is a principal of the firm. She advises and represents clients in commercial real estate matters, including purchase and sale, leasing, and other real estate-related matters. 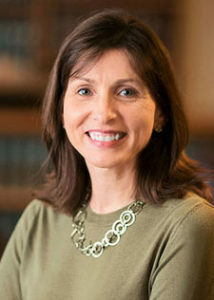 Diane also advises clients in connection with business matters, including the formation, dissolution, purchase, and sale of Vermont business enterprises. Diane has been involved in numerous merger and acquisition transactions in Vermont over the past several years. Craig S. Nolan has been recognized by Best Lawyers for his work in White-Collar Criminal Defense. Craig is a principal of the firm and focuses on complex civil litigation, white collar and serious felony criminal defense, and internal investigations. As part of his litigation practice, Craig defends health care entities and professionals in malpractice actions and before administrative bodies, and represents businesses in employment actions. 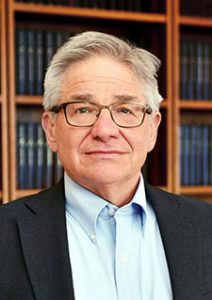 Craig has tried more than twenty-five cases to juries in the federal and state courts of Vermont, and he regularly appears before the United States Court of Appeals for the Second Circuit and the Vermont Supreme Court. Prior to joining the firm, Craig served as an Assistant United States Attorney in Burlington and Rutland, Vermont. R. Jeffrey Behm has been recognized by Best Lawyers for his work in Commercial Litigation, General Practice Criminal Defense, and White-Collar Criminal Defense. Jeff is a principal of the firm and focuses on litigation. 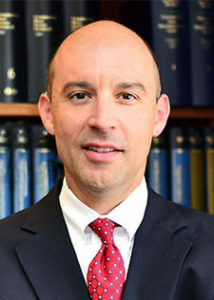 He joined the firm in 1990 after serving as an Assistant United States Attorney in Washington, D.C. and Vermont and as a trial attorney in the Federal Trade Commission’s Bureau of Competition. Jeff has tried more than one hundred jury trials and has handled numerous appeals in both state and federal courts. Michael G. Furlong has been recognized by Best Lawyers for his work in Corporate Law and Mergers and Acquisitions Law. 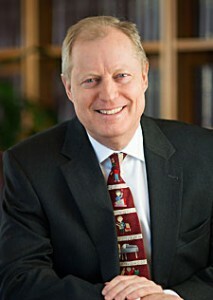 Michael joined the firm in 1983 and is a principal of the firm. His practice focuses on business and transactional matters. He provides general representation to a variety of Vermont-based and regional business enterprises. His clients include financial institutions, health care providers, real estate development firms and technology ventures. He represents and advises clients in connection with business organization, mergers and acquisitions, financing transactions, the purchase, sale, development and leasing of commercial real estate, and other business-related matters. James W. Spink has been recognized by Best Lawyers for his work in Arbitration, Mediation, and Personal Injury Litigation on behalf of both Defendants and Plaintiffs. 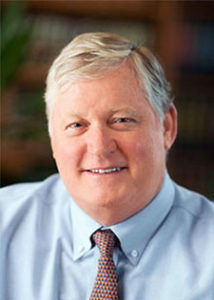 Jim joined the firm in 2011 and is a principal of the firm. Jim is a seasoned trial attorney with 35 years of experience, and he has tried over 125 cases to verdict. Although he maintains an active litigation practice, much of Jim’s current professional activity is devoted to mediations and arbitrations. He has performed over 3,000 mediations, early neutral evaluations, and evidentiary hearings at arbitration over the years. About Sheehey Furlong & Behm P.C. With offices in Burlington, VT and Woodstock, VT, Sheehey has been solving complex legal problems for Vermont, regional and national businesses and individuals for over 90 years. Sheehey provides a full range of legal services within a variety of practice areas, including corporate services/mergers and acquisitions, employment, litigation, real estate, banking and financial services, health care, energy, mediation, arbitration and estate planning. For more information about Sheehey Furlong & Behm P.C. visit www.sheeheyvt.com. The employment practice group at Sheehey Furlong & Behm will host a free employment law seminar for clients and prospective clients on October 4th beginning at 1:30pm at Hotel Vermont in Burlington. This three hour seminar is designed for business owners and HR professionals and will include an update on recent state legislative changes, with a focus on the impact of marijuana legalization, continuing challenges posed by the paid sick leave law, and limitations on wage and salary discussions in the workplace. We will review sexual harassment in the workplace in light of the “me too movement”. Additionally, we will offer practical tips and insights for dealing with perennial employee relations challenges, such as when to use an employment contract and how to successfully document interactions with employees. The afternoon will conclude with a cocktail reception. Formal invitations will be sent the week of September 3rd and will include additional seminar details. Contact Jamie Martell at jmartell@sheeheyvt.com to request an invitation.